After seeing the new movie DUNKIRK directed by Christopher Nolan last night, I wanted to recommend it to you readers. Like the top film critics, I found this film technically flawless and emotionally extremely powerful. The film's soundtrack by Hans Zimmer kept me on the edge of my seat. In September 1939, Nazi Germany's invasion of Poland resulted in a declaration of war by France and Great Britain. A British Expeditionary Force (BEF) was sent to help with the defense of France. What followed was eight months of "phoney war" with no major battles. With protection of the fabled Maginot Line and the Ardennes forest, the Allied expectation was that Germany would initiate an attack against France through Belgium as it had in WWI. German General Erich Manstein, however, decided to advance through the Ardennes Forest directly into Northern France on a route perceived by the Allies as as impenetrable. The unexpected, lightning movement by the Wehrmacht swiftly cut off hundreds of thousands of Allied troops. The only escape route was the sea. On May 24, 1940, British and French troops were trapped between advancing German Panzer columns and the English Channel. Unexpectedly, the Germans halted their advance for an unexplained 48-hours, allowing the Allies to dig in, establish a defensive perimeter and initiate evacuation plans at Dunkirk. Over eight days, 338,226 soldiers were rescued by a make-shift fleet of >800 civilian and naval craft. Reportedly, weather conditions limited both RAF and Luftwaffe air combat. Britain's limited deployment of naval vessels in the Dunkirk rescue may have been due to lack of available ships, the shallow draught of Dunkirk harbor--or possibly a reluctance, during a time when the invasion of England seemed imminent, to deploy precious capital ships to a dangerous rescue operation. The most inspiring thing about the Dunkirk evacuation was the maritime response of brave and courageous British civilians. In the film, the Jericho Trompete sirens of the Luftwaffe Junker-87 Stuka (Sturzkampfflugzeug) emit a terrifying shriek that builds as the dive bomber approaches the target. Some have criticized the failure of French generals during the Fall of France. 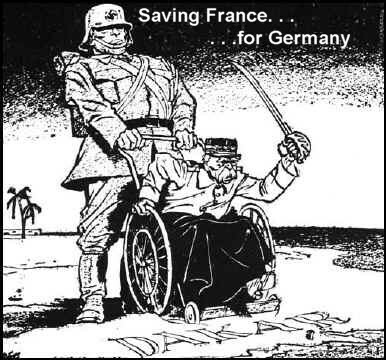 Nevertheless, many ordinary Frenchmen fought bravely and honorably at Dunkirk. As British and French troops awaited evacuation on the beach, French soldiers 40 miles southeast of Dunkirk, put up stiff resistance against an overwhelming Wehrmacht force, allowing the Allies time to prepare. Vichy France propaganda cartoon about the allied bombings of France. A Jewish radio announcer in London broadcasts the imminent arrival over France of Allied Liberator aircraft. 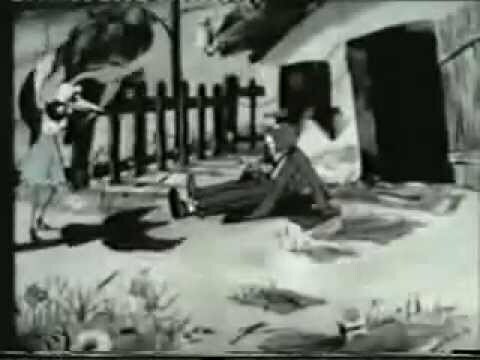 US planes, flown by Mickey Mouse, Donald Duck, Popeye, Goofy and Felix the Cat, drop bombs killing innocent French civilians. 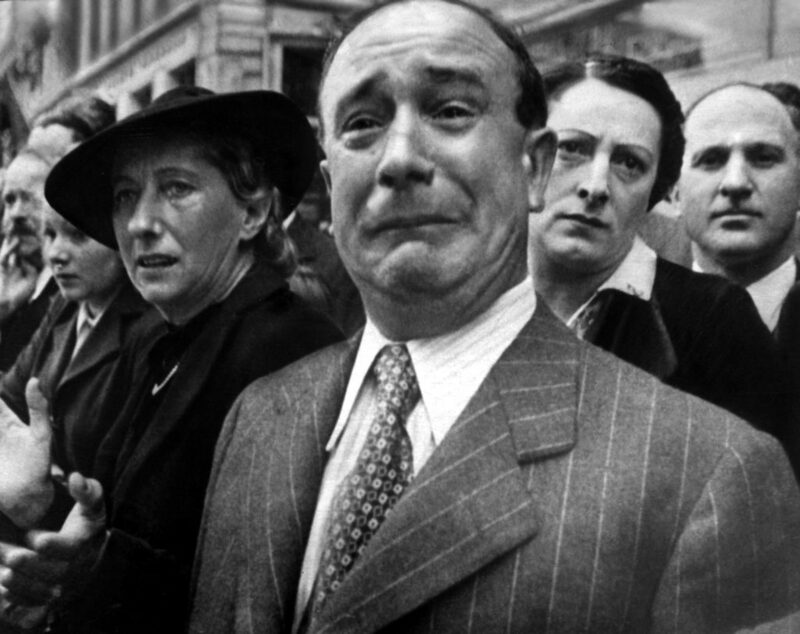 Vichy France Between June 1940 and May 1945, 1,570 French cities and towns were bombed by Anglo-American forces. The total number of civilians killed was 68,778 men, women and children. In April 1940 Nazi Germany invaded Norway and, after a brief period of resistance, began an occupation that lasted until the end of the war. Norway subsequently became the most heavily fortified Axis-occupied country during the war with a ratio of one German soldier for every eight Norwegian citizens. Civil rule by a pro-German collaborationist government led by Vidkun Quisling was effectively dictated by the Reichskommissariat Norwegen (Reich Commissariat of Norway), while the Norwegian King Haakon VII and his prewar government escaped to London where they acted as a government in exile. 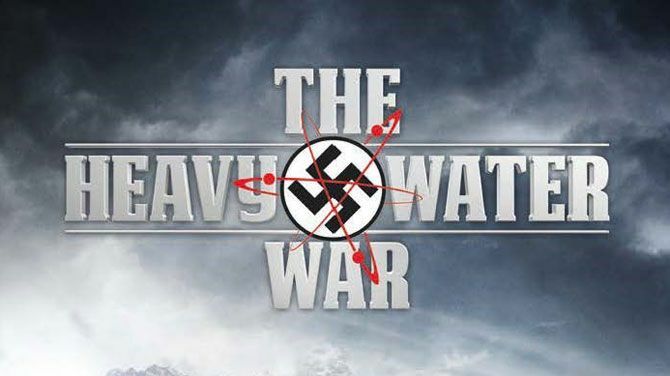 As depicted in this trailer for the excellent TV series The Heavy Water War, Norwegian saboteurs carried out several operations to prevent Nazi Germany from acquiring heavy water (deuterium oxide) which was needed to produce nuclear weapons. Similar to their Japanese and American counterparts, Nazi propagandists populated their wartime cartoons with animal characters. Here in der Störenfried (the troublemaker), when the rabbit father finds the fox threatening his children, the Luftwaffe (wasps) and Wehrmacht (dogs?) come to the rescue. 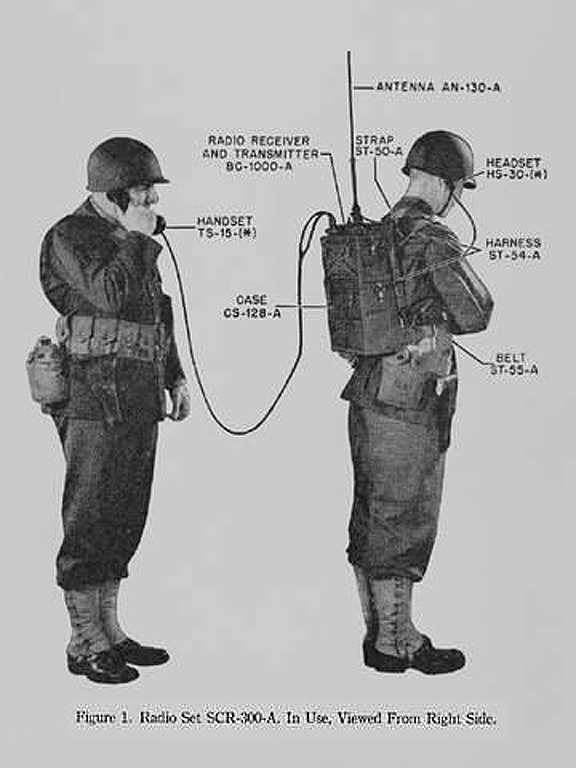 via:Duke Libraries Although this is a Westinghouse ad, the first radio receiver/transmitter to be widely nicknamed "Walkie-Talkie" was the backpacked Motorola SCR-300, created in 1940. German victory and occupation in June 1940 "entangled France and the French in a web of cooperation, resistance, accommodation, and, later, of defensiveness, forgetfulness, and guilt from which they are still trying to escape.” - Ronald Rosbottom, professor of French and European studies at Amherst _________________________________________ Click this link for fascinating photos by André Zucca that were taken for the German magazine Signal to demonstrate a peaceful and pleasant Parisian life under German occupation. 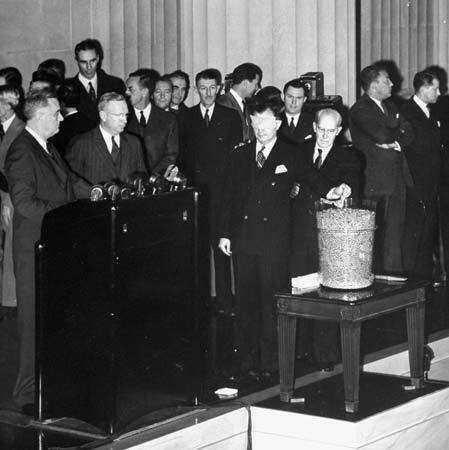 In September 1940 the U.S. Congress passed the Burke-Wadsworth Act, the first peacetime draft of men aged 21-36 years in the history of the United States. 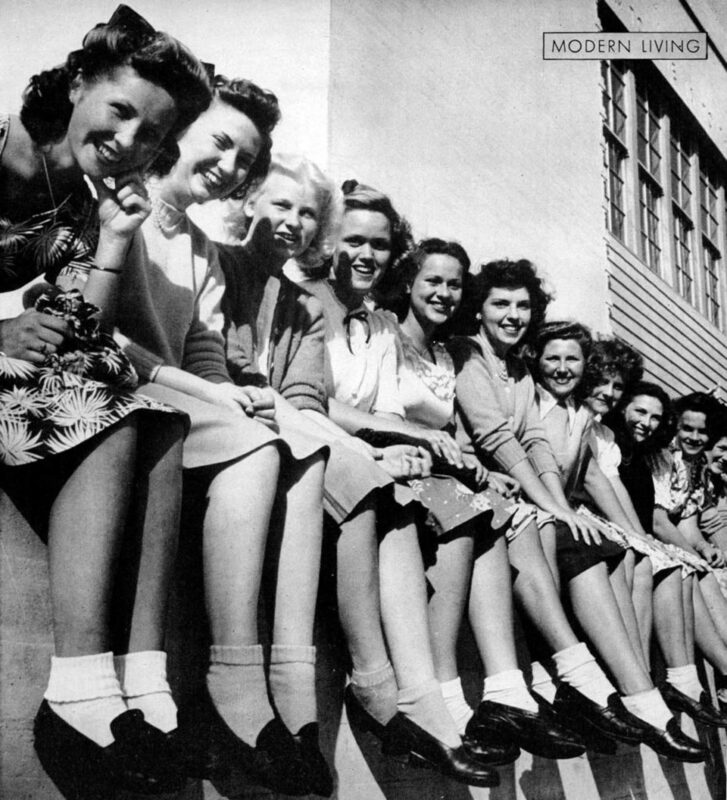 In November 1942 the draft ages were extended to ages 18-37 years for the war effort. Until 1943, due to racist concerns about a mixed-race military, blacks were not drafted. In 1943 a "quota" was imposed, meant to limit the numbers of blacks drafted to reflect their numbers in the overall population (~ 10.6 %). Initially, blacks were restricted to "labor units," but as the war progressed, they were finally used in combat. By war's end, approximately 34 million men had registered and 10 million had been inducted into the military. The Foreign Agents Registration Act 1938 provided severe penalties for anyone deemed a "foreign agent" without registering with the Secretary of State. 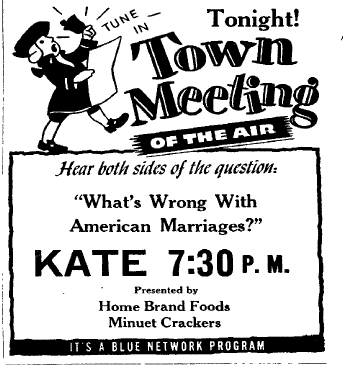 The 1938 Special House Committee to Investigate Un-American Activities (Dies committee) was a reformulation of activity during the "red scare" of the 1920s. 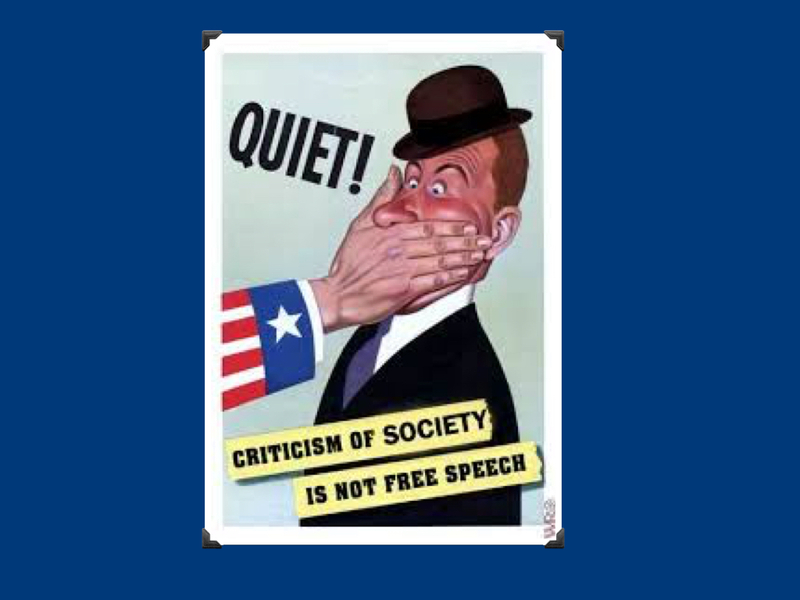 The Hatch Act of 1939, restricted the political freedom of government employees and prohibited Communists from working for the national government. 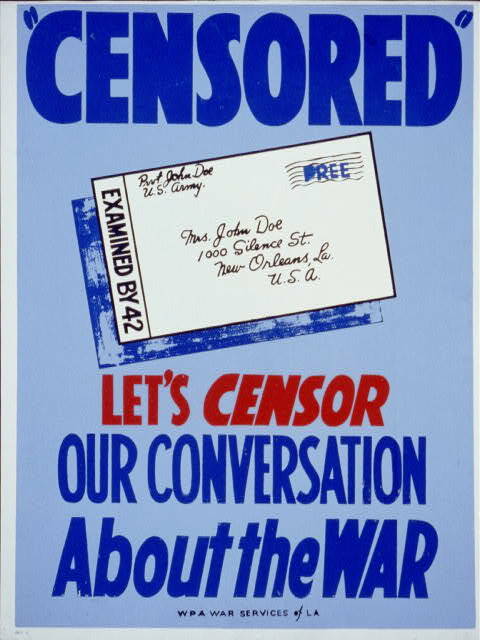 The Espionage Act Amendment of 1940, increased penalties for spying, neutrality violations, and other infractions during peacetime. The Alien Registration Act (Smith Act) of 1940 required the registration and fingerprinting of immigrants who had not attained American citizenship and facilitated their deportation for revolutionary beliefs. Most importantly, the Smith Act established prison terms and fines for: encouraging insubordination in the military, and verbal, written or participatory advocacy of the forceful overthrow of the government. The Selective Service Act of 1940 carried penalties for draft resistance. The Nationality Act of 1940 facilitated divesting naturalized immigrants of their citizenship for radical political beliefs. 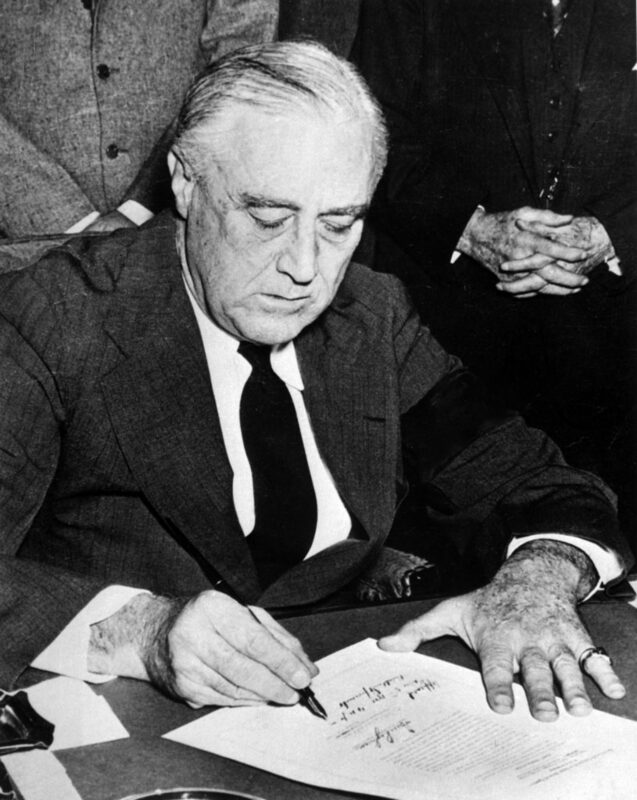 The Voorhis Act of 1940 required registration with the Attorney General of all organizations subject to "foreign control" involved in civilian-military activities or advocating the overthrow of the government. read more: Not Just Japanese Americans: The Untold Story of U.S. Repression During 'The Good War'. 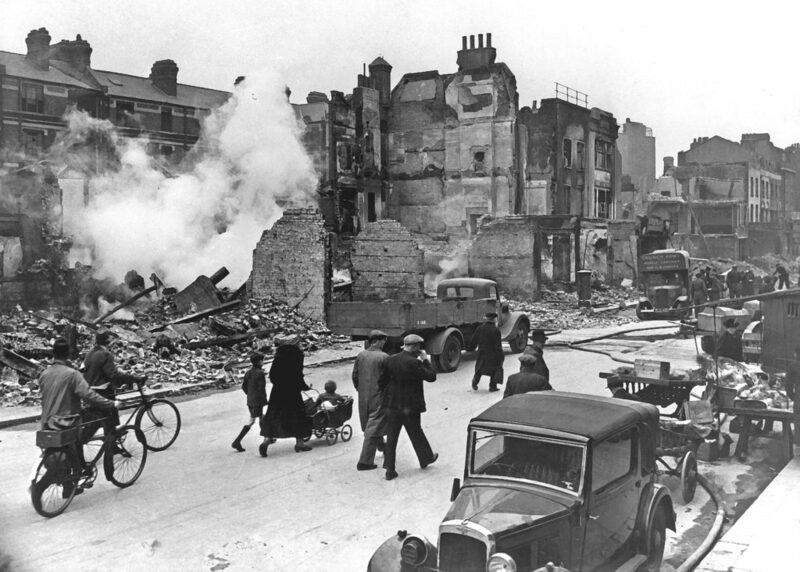 As I learn more about the firebombing in WWII, I realize that I haven't given the November 1940 Luftwaffe Blitz of Coventry adequate attention. It is important because it seems to have been the first instance where a new type of tactic was used. As an industrial city, Coventry was a genuine military target for the Luftwaffe during the Battle of Britain. 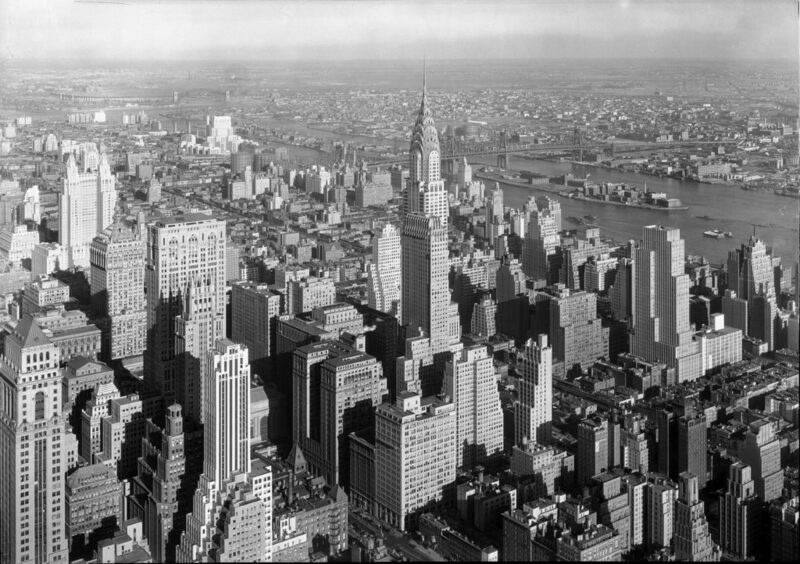 Seventeen relatively small raids during August-October 1940 killed 176 people and injured ~180. On November 14, 1940, over 500 German bombers carried out Operation Mondscheinsonate (Moonlight Sonata) in a new method of attack: - specially modified Heinkel He 111 aircraft with electronic navigation aids marked the targets before the main bomber raid. - the first wave of bombers dropped high explosive bombs intended knock out utilities, damage roads, hamper the fire brigades and damage roofs, making it easier for the incendiary bombs to fall into buildings and ignite them. - subsequent attack waves dropped incendiary bombs (some on parachutes) made of magnesium or petroleum. 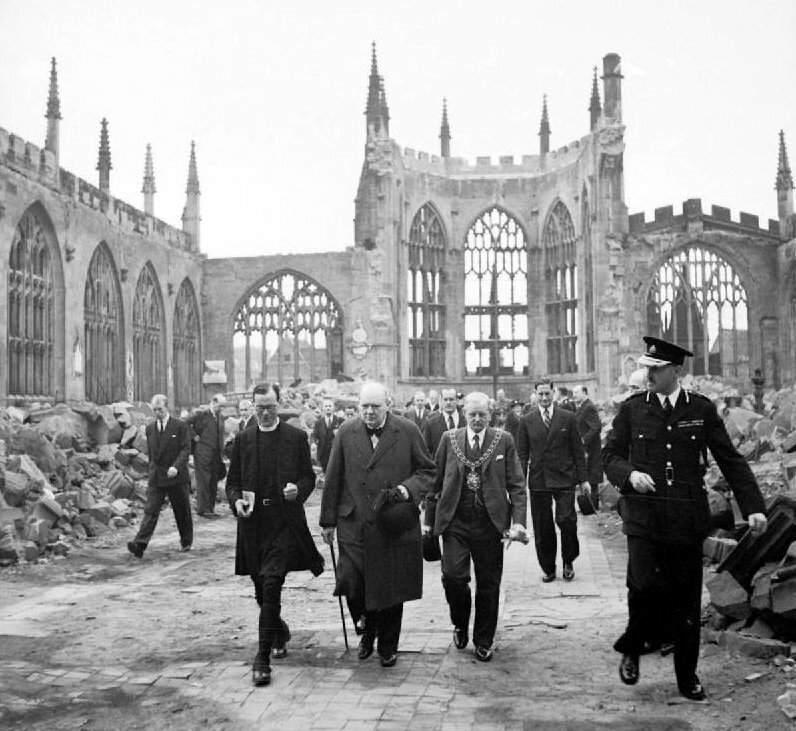 Coventry Cathedral, set on fire by incendiaries, precipitated a firestorm that quickly spread out of control. Simultaneously > 200 other fires broke out, mostly in the city-center area. In about four hours, more than 4,300 homes in Coventry were destroyed and ~2/3 of the city's buildings were damaged. ~ 568 people were killed in the raid, 863 badly injured and 393 sustaining lesser injuries. The Coventry raid resulted in such a new and severe level of destruction that Nazi Propaganda Minister Joseph Goebbels later coined the term coventriert ("coventried") to describe similar levels of destruction in other raids. The RAF raid on Lübeck in March 1942, designed after the Coventry Blitz, was the first time the British tested their firebombing techniques. When Nazi Germany occupied the country in June 1940, there were ~ 350,000 Jews living in France, ~ 200,000, resided in and around Paris. Several ordinances published by the occupation force during 1940-41 defined who was a Jew, what business activities they were allowed, confiscated their radios & bicycles, disconnected their telephones, set curfews just for them, closed public places, theaters and certain shops to them, assigned them the last Metro coach, and banned Jewish music and art. The first large scale incarceration of Jews took place in May 1941 when 4,000 foreign Jews were sent to concentration camps in France. In December 1941, Parisian Jewish community leaders, including doctors, academics, scientists and writers, were rounded up. 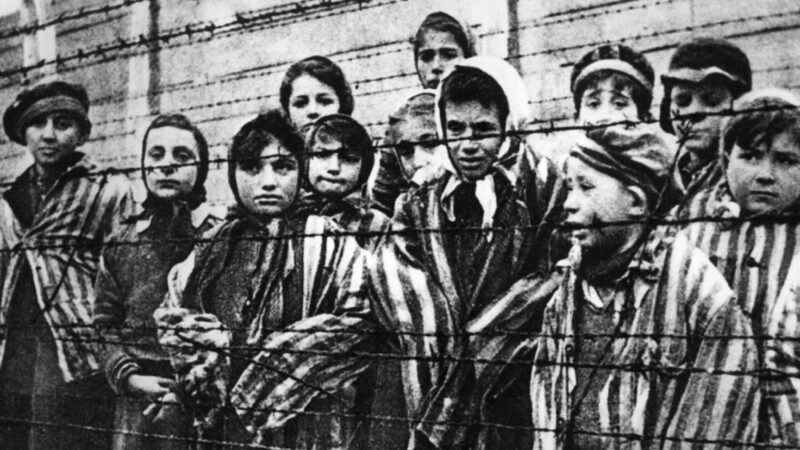 In May 1942, all Jews were ordered to wear the yellow star. 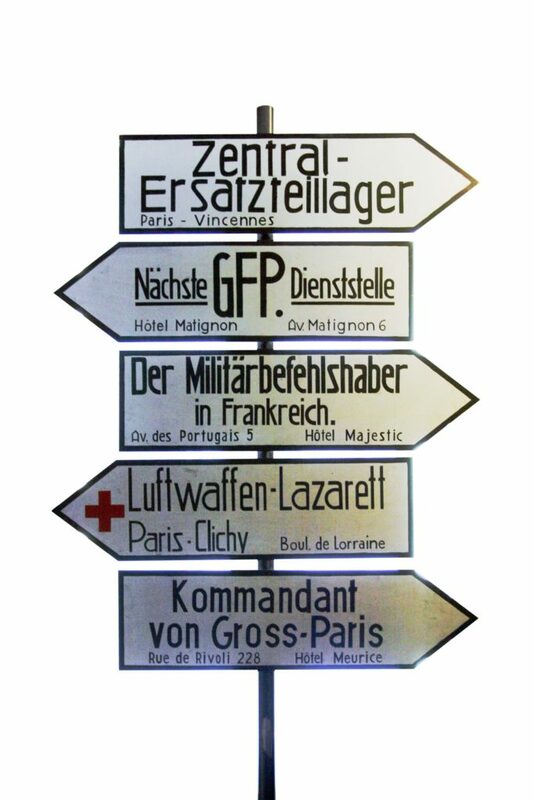 Beginning in 1942, Germans deported 75,500 - 76,000 (mostly foreign-born) Jews from France to death camps. From the start, the Vichy government openly collaborated with the Nazi occupiers to identify Jews for deportation and transportation to the death camps. 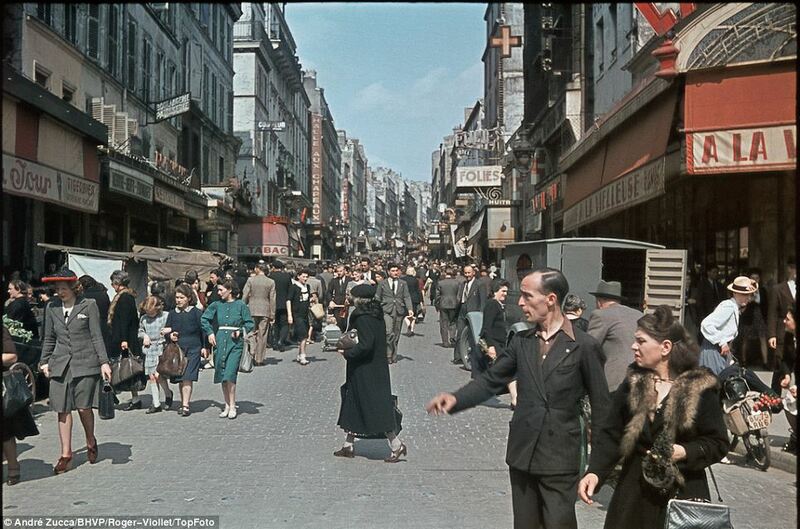 At the same time, many non-Jewish French citizens risked their lives to save Jews from the Holocaust. 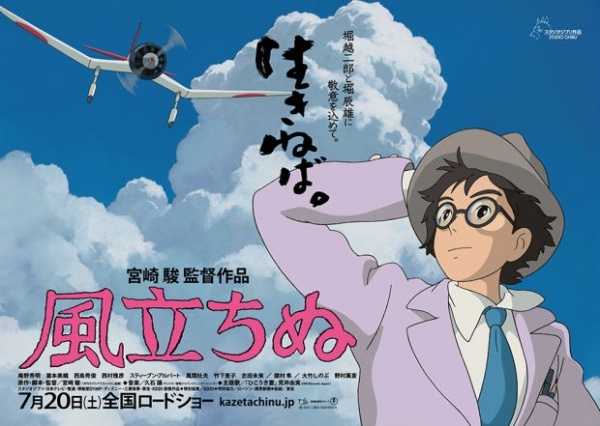 http://www.youtube.com/watch?feature=player_detailpage&v=imtdgdGOB6Q This lovely, lyrical animated film by the Japanese manga artist and film director Hayao Miyazaki tells the story of a boy fascinated by flight and aircraft design who grows up to conceive the famous Mitsubishi A6M "Zero" fighter. Not a war story, rather the story of passion, romance and loss, the Wind Rises captures the grace (and tragedy) of Imperial Japan in soft pastels, blowing wind and falling blossoms. http://www.youtube.com/watch?v=n1ttJgTqpsM Nazi Minister of Propaganda Joseph Goebbels established a film department in 1930 to ensure that the German film industry promoted Aryan philosophy. 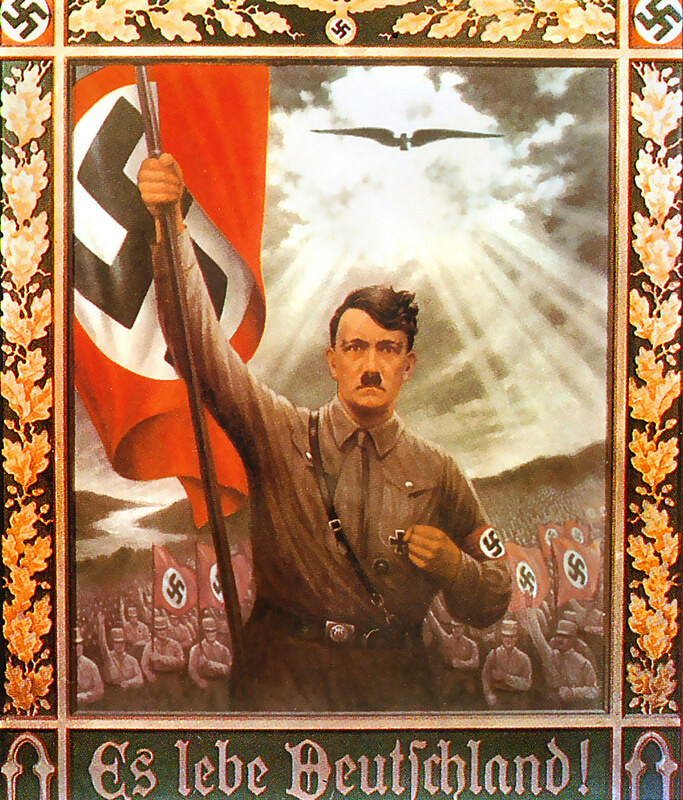 In 1937, the Reichsministerium für Volksaufklärung und Propaganda (Ministry of Public Enlightenment and Propaganda) hosted an exhibition of 'degenerate art" in Munich entitled Der ewige Jude (The eternal Jew). Shortly thereafter, a book of 265 photographs captioned with anti-semitic remarks was published. 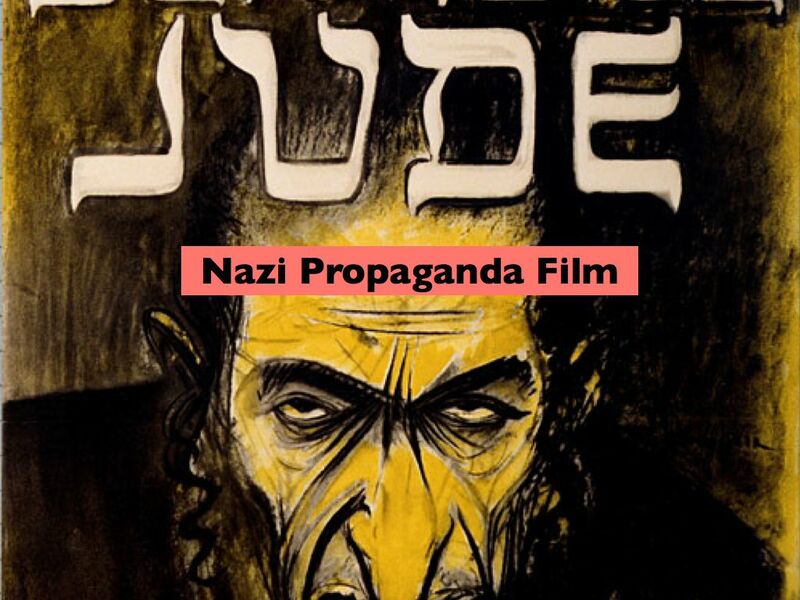 In 1940, the motion picture Der Ewige Jude, consisting of feature and documentary footage combined with film shot after the Nazi occupation of Poland, was presented as a "documentary." image via: tumblr_kxqjyiaO7Y1qaz1ado1_500.jpg 500×697 pixels. 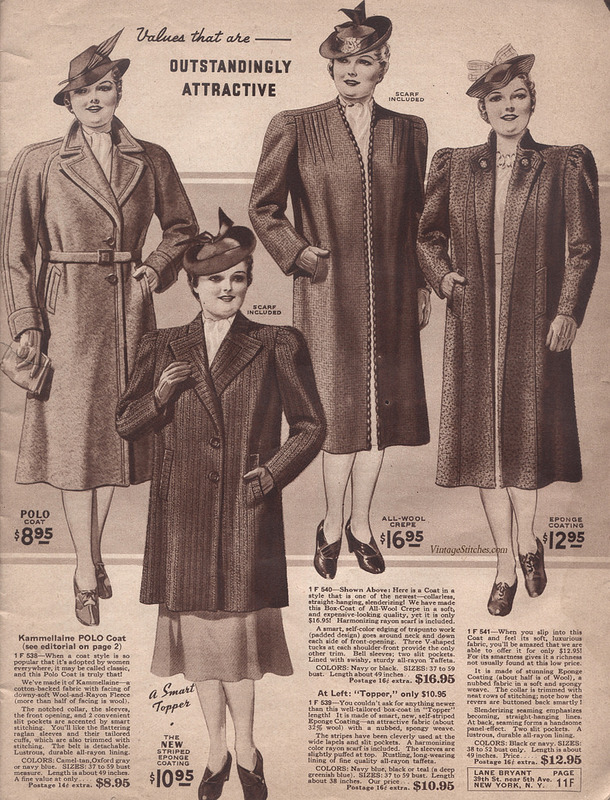 Low-priced monthly magazines were very important in Imperial Japanese culture with over 3,000 periodicals published for all age groups (60 for women). 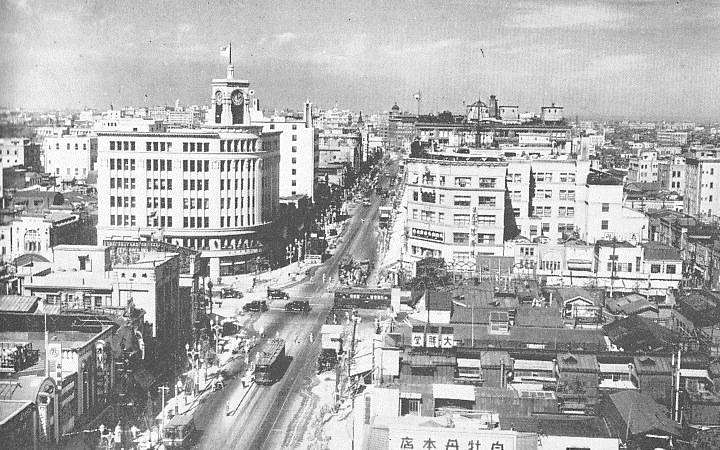 By 1940, leading intellectual publications such as Chuo Koron (中央公論 Central Review) were forced to abandon their former (liberal) stand and align themselves with the current conservative political reform Shintaisei (New National Structure). Former Foreign Minister of Imperial Japan from 1939-1940, Admiral Kichisaburō Nomura became Ambassador to the USA in November 1940. 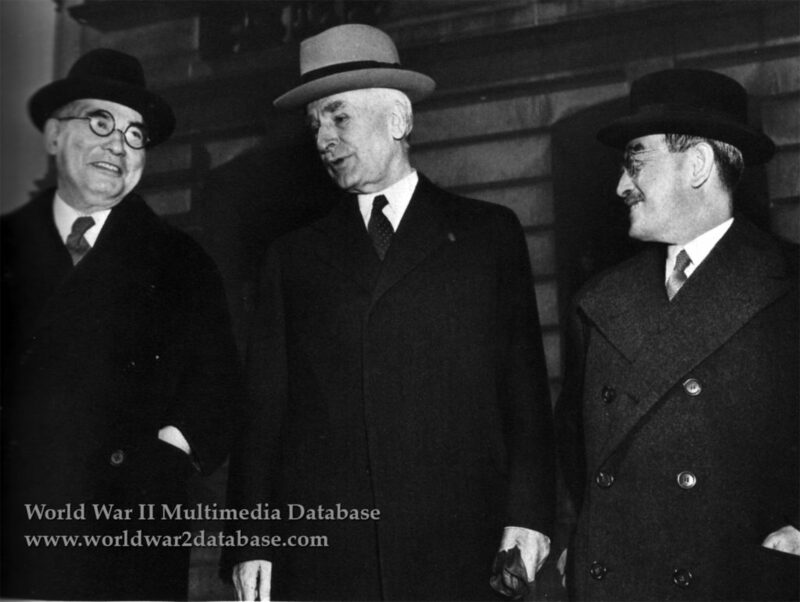 Through much of 1941, Nomura and United States Secretary of State Cordell Hull attempted to resolve issues including the Japanese conflict with China, the Japanese occupation of French Indochina, and the United States oil embargo against Japan. 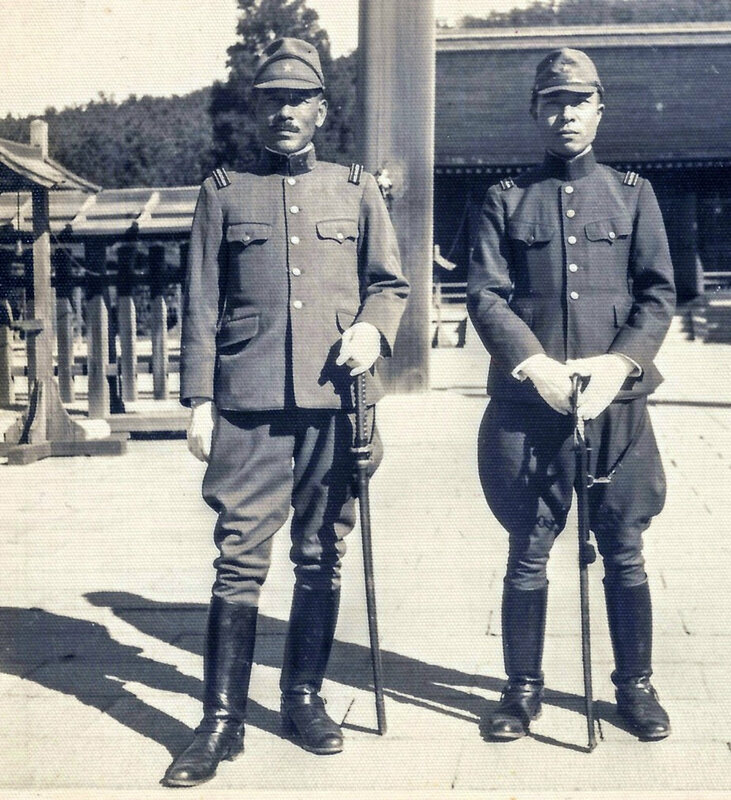 Nomura's recommendations for meaningful concessions were repeatedly rejected by his own government and on November 15, 1941, he was joined by a "special envoy" to Washington, Saburō Kurusu. 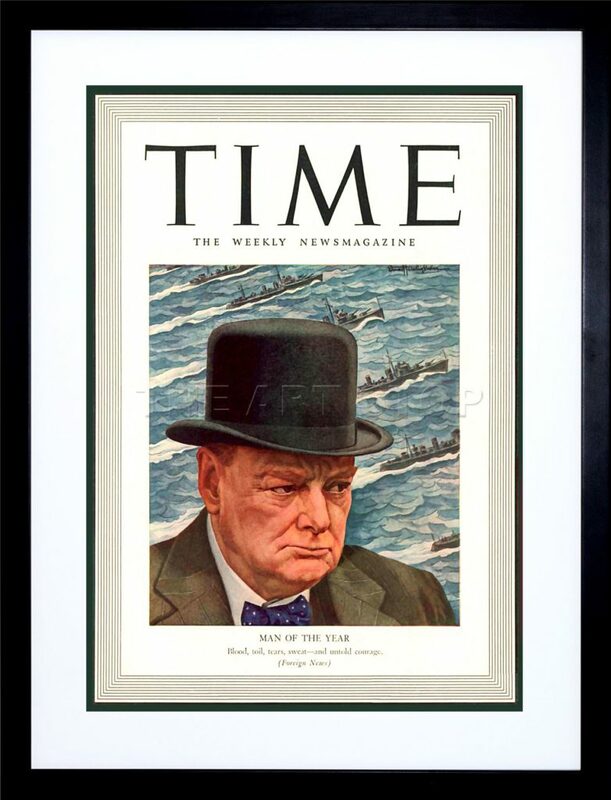 Time Magazine named British Prime Minister Winston Churchill as 1940 Man of the Year for his stirring oration and tough leadership during the Battle of Britain during the summer and autumn of that year. Fumimaro Konoe served as Japan's 34th, 38th and 39th Prime Minister and was in power during the period leading up to World War II. 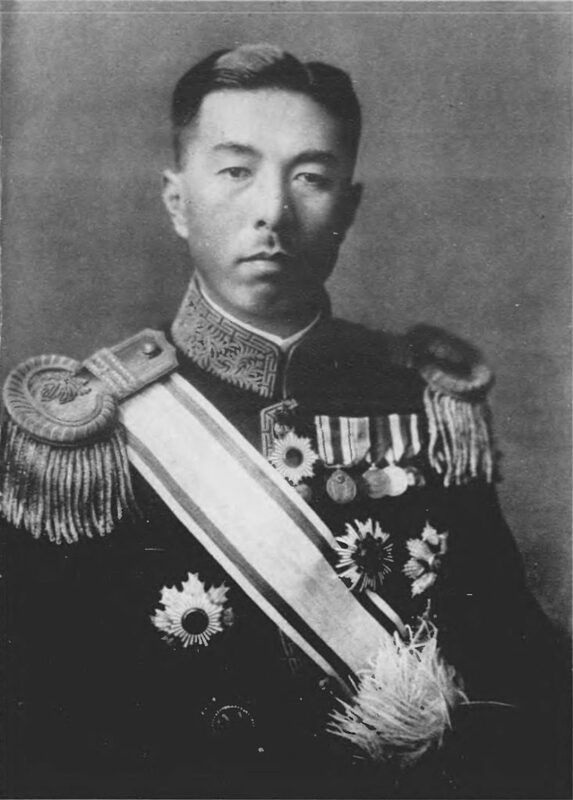 Against the advice of the Emperor and political allies, Konoe appointed the fiery military advocate Yosuke Matsuoka as his Foreign Minister. 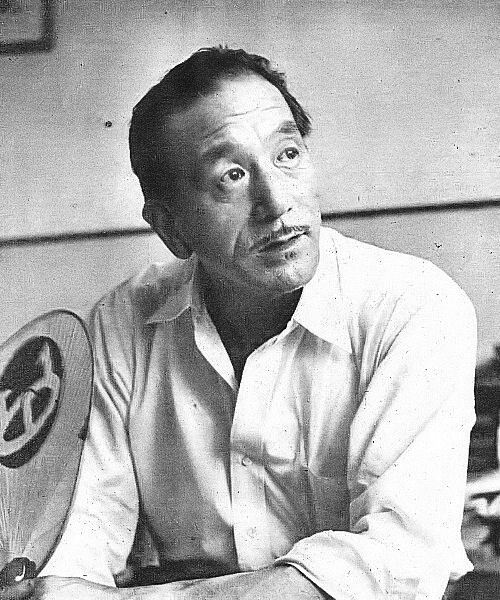 In a 1941 New Year's message Matsuoka said: "It may sound unlucky, but in my innermost heart I fear the coming year will prove a most tragic and unfortunate one for all mankind." 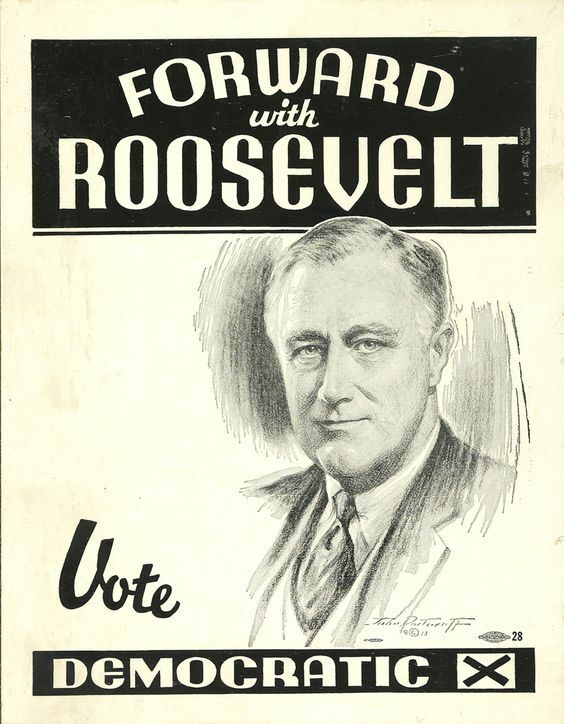 FDR’s run for a third term was a major issue in the 1940 Presidential campaign. The Republican candidate Wendell Willkie claimed FDR failed to end the Depression and was leading the USA into another war. Roosevelt promised not to involve the USA in foreign wars if re-elected. Although Willkie revived Republican strength in some areas of the country, FDR won easily. 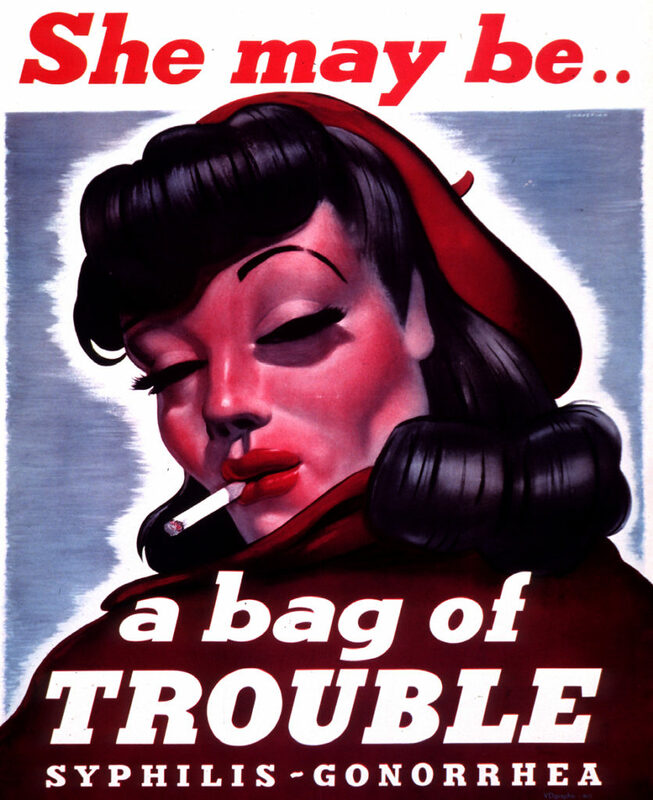 Wikimedia Commons While Japan had legalized prostitution (and by extension, comfort stations for its troops), the USA outlawed the oldest profession at home and urged its troops to avoid it overseas as well. 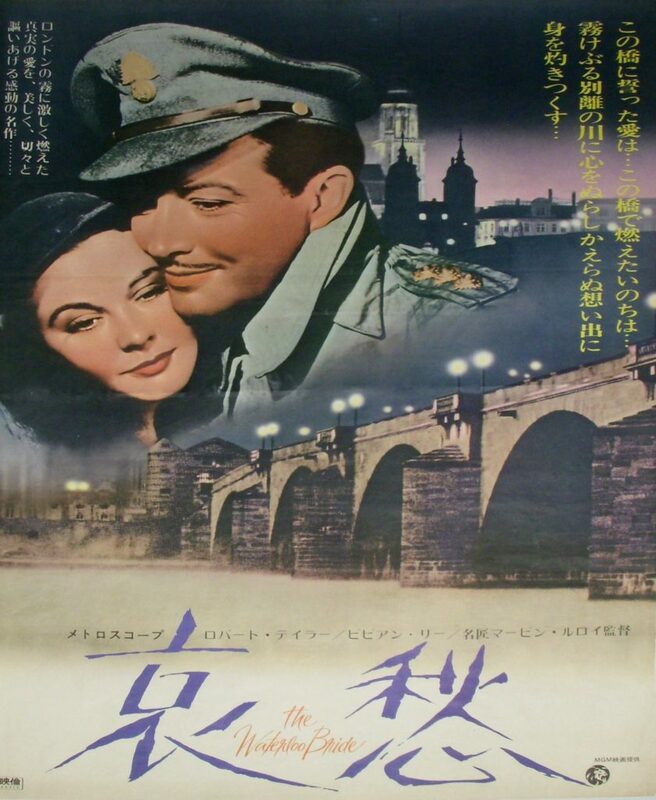 In 1940, Japanese audiences could still view Western films like this story of a dancer and a British army captain starring Robert Taylor and Vivien Leigh. 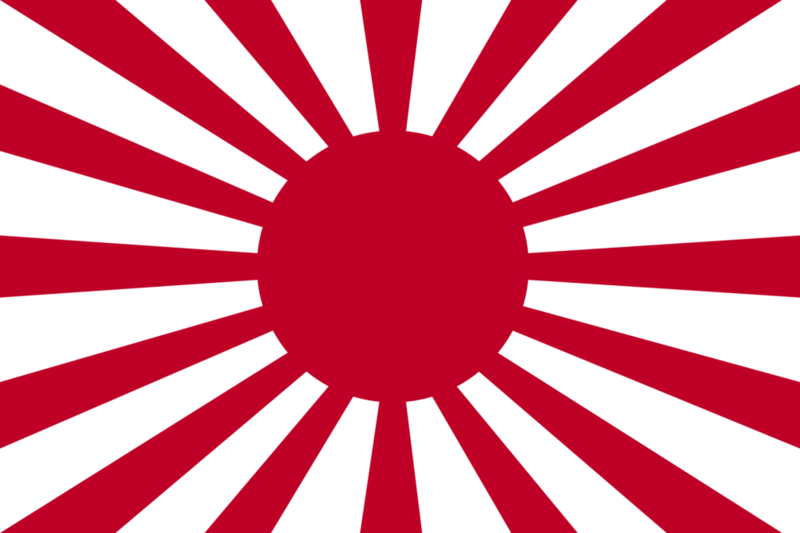 Soon Hollywood films would be banned, as Japan turned toward Axis nations for European films. 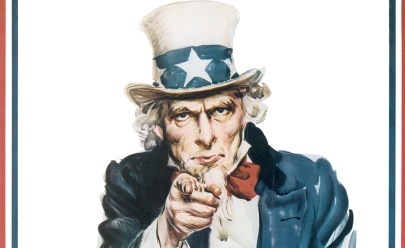 The Alien Registration Act of 1940 (Smith Act) established criminal penalties for advocating the overthrow of the U.S. government and required all adult non-citizen residents to register with the government. Pearl Harbor mock-up Japan 1941; Wikimedia Commons After Japan fortified the Marshall Islands in early 1940, FDR ordered the United States Pacific Fleet to move its main Pacific base from California to Pearl Harbor. This show of strength had its risks however: the American Pacific fleet was now within striking distance of the powerful Imperial Japanese Navy. read more: Increasing tensions between the United States and Japan. 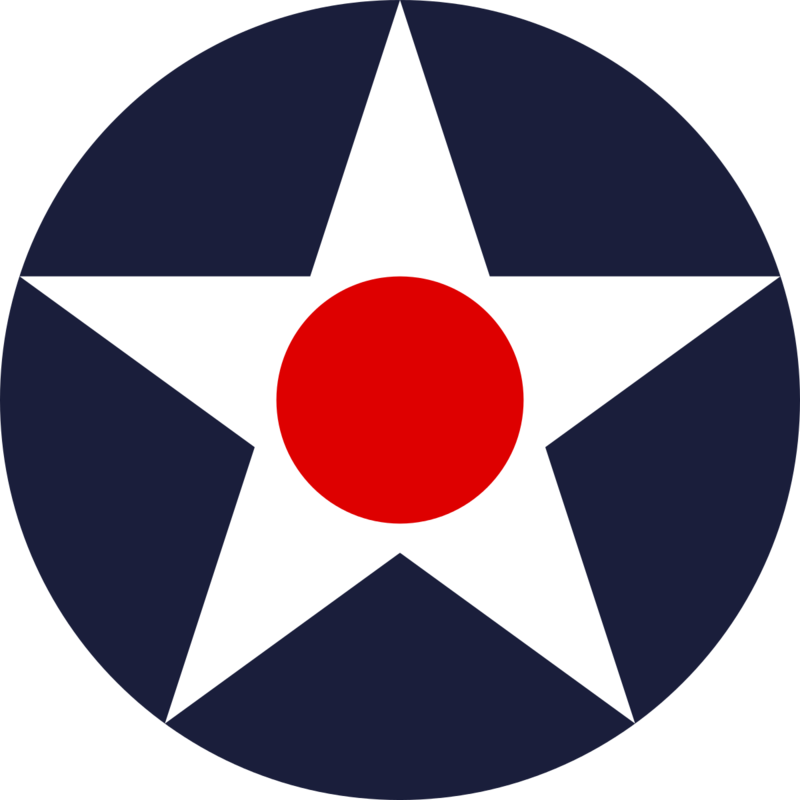 AIR DEFENSE COMMAND In 1940, the United States Air Defense Command was established by the War Department and placed under the control of the First Army Commander. 2600th anniversary celebration of the empire; Wikimedia Commons. 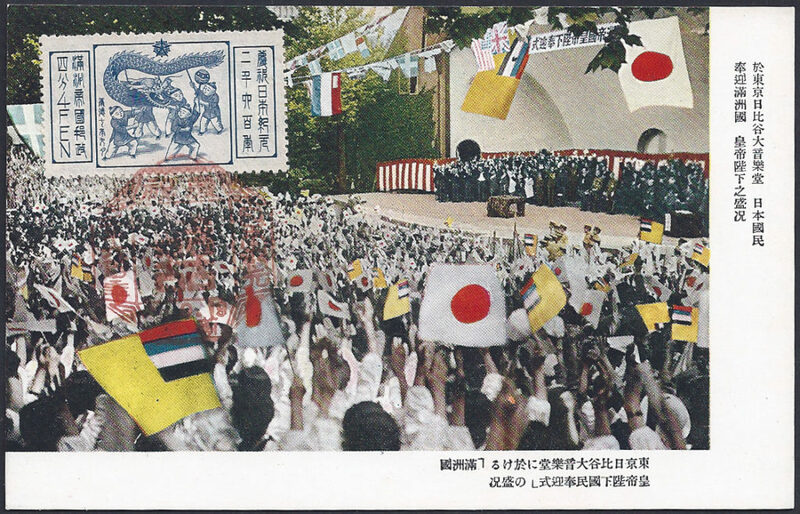 Following the cancelation of the 1940 Tokyo Olympic Games, the anniversary of the founding of Japan by the mythical Emperor Jimmu was seen as an opportunity for a great celebration. 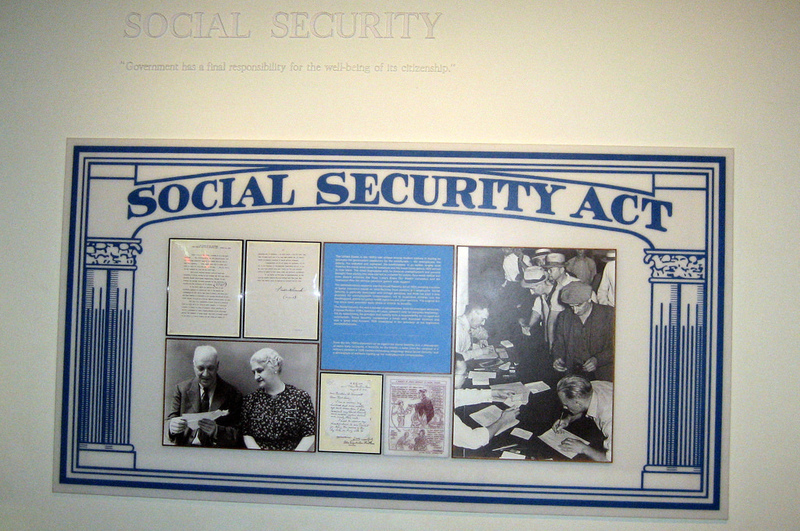 Ida May Fuller was the first beneficiary of recurring monthly Social Security payments. 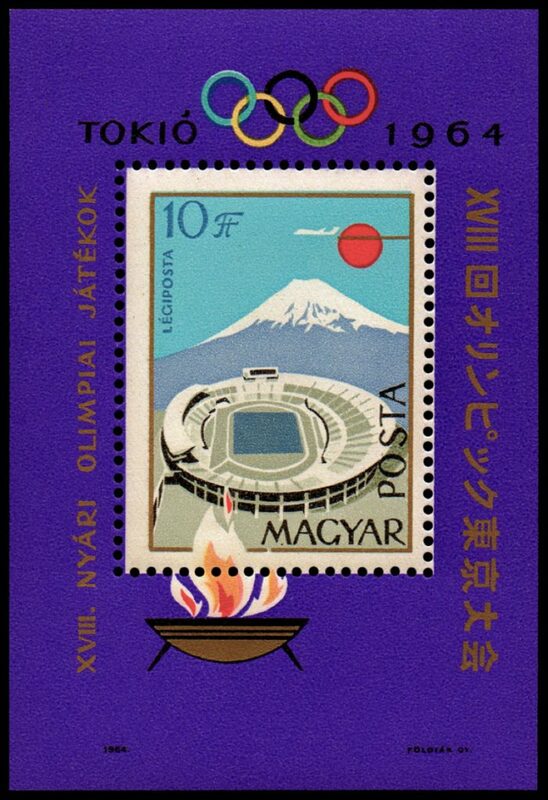 In 1936 the International Olympic Committee agreed to hold the 1940 Summer Olympic games in Tokyo, but, in the midst of war with China, Japan withdrew in 1938. It wasn't until 1964 that the games were played in Tokyo. 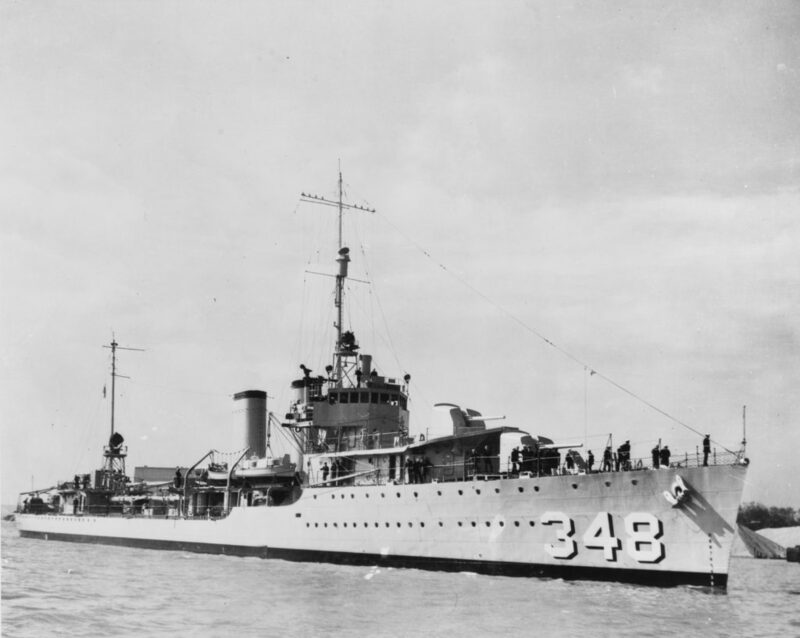 The 1940 Destroyers for Bases Agreement transferred fifty US Navy mothballed destroyers to Great Britain in exchange for military land rights in Newfoundland, Bermuda and the West Indies. The destroyers were named for cities common to both countries (e.g., Montgomery, Lancaster). 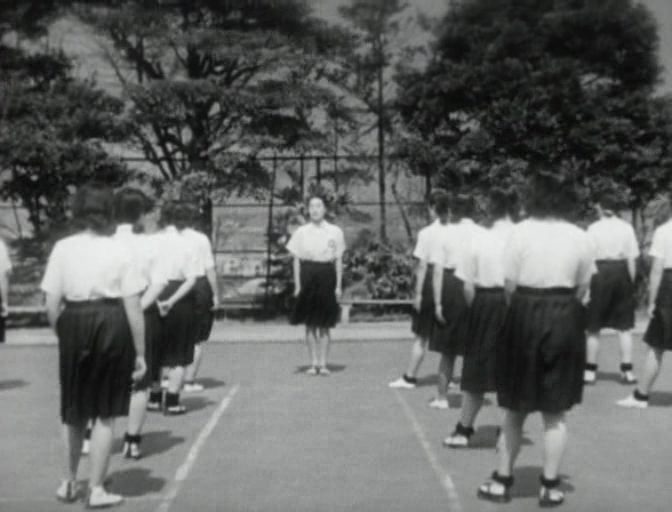 In this 1940 film directed by Shimizu Hiroshi, renowned actress Takamine Mieko plays Nobuko, a spirited young teacher who challenges a conservative school administration with her liberal teaching ideas. 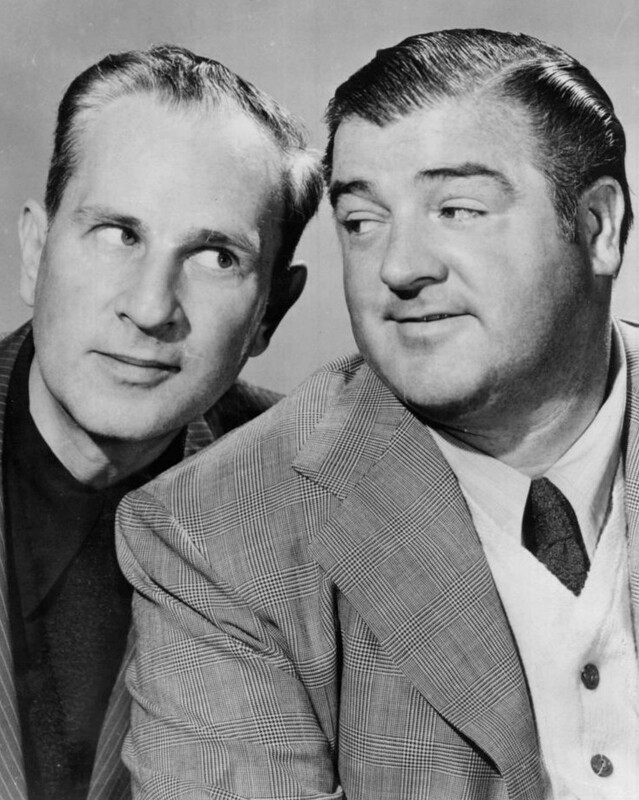 Bud Abbott and Lou Costello were the most popular comedy team of the 40s and early 1950s. Their routine "Who's on First?" was one of their classic comedy routines. "We have had the lesson before us over and over again-nations that were not ready and were unable to get ready found themselves overrun by the enemy. So-called impregnable fortifications no longer exist. A defense which allows an enemy to consolidate his approach without hindrance will lose. A defense which makes no effective effort to destroy the lines of supplies and communications of the enemy will lose." - FDR address to Congress May 1940. In 1940, the Japanese Diet announced a record high budget with over half its expenditures being devoted to the military. Historical population of japan Year Pop. ±% 1910 50,984,840 — 1915 54,935,755 +7.7% 1920 55,963,053 +1.9% 1925 59,736,822 +6.7% 1930 64,450,005 +7.9% 1935 69,254,148 +7.5% 1940 73,075,071 +5.5% Demographics of Japan - Wikipedia, the free encyclopedia. 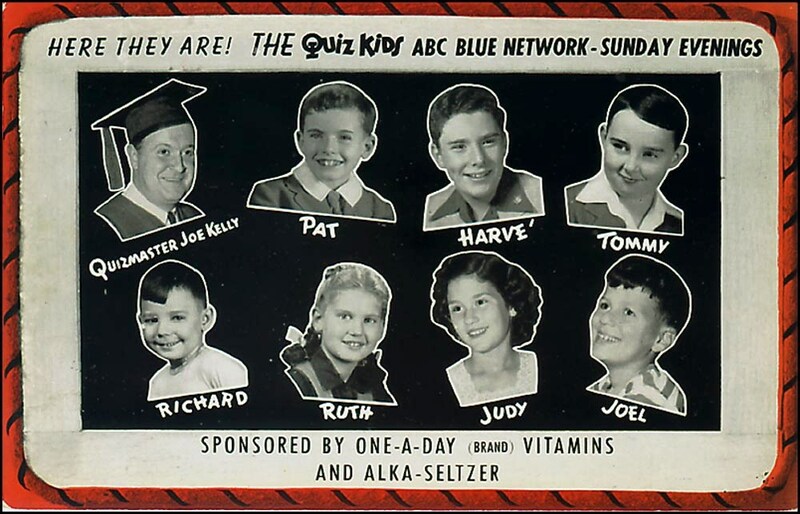 Beginning in 1940, listeners sent in questions to the popular NBC Quiz Kids show. The fall of France to German forces in June 1940, and subsequent establishment of the Vichy government, weakened French colonial rule of Indochina (modern day Cambodia, Laos, and Vietnam). 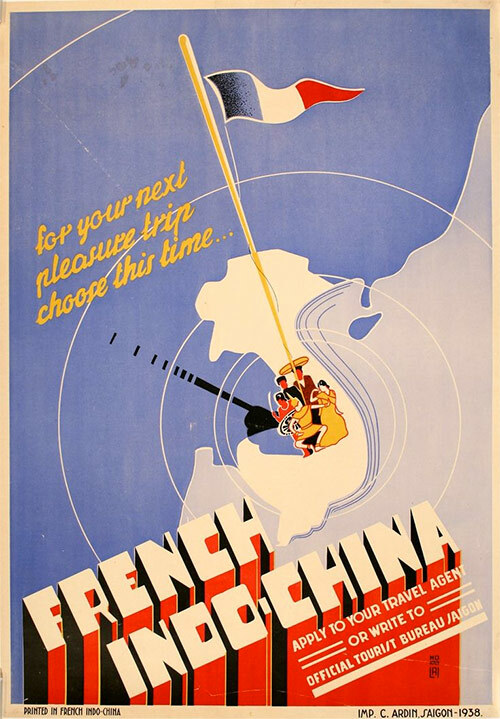 Soon France permitted the establishment of Japanese military bases in Indochina. In October 1940, Thailand attacked across the border of Indochina, launching the Franco-Thai War. Although the French won important victories, Japan demanded that parts of Cambodia and Laos, long held by France, be returned to Thai control. Vichy France continued to administer Indochina until March 1945, when the Japanese took direct control and established their own puppet state, the Empire of Vietnam. 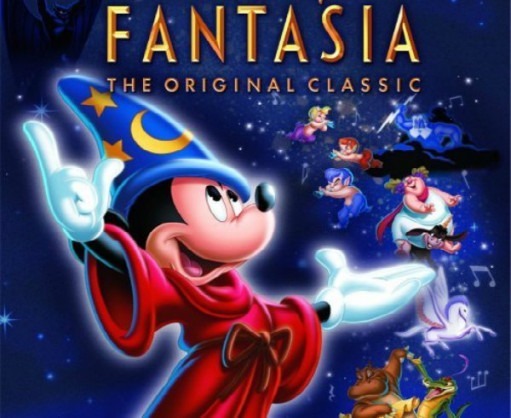 Scored with classical music, Fantasia received mixed reviews on release. Perhaps some felt Walt Disney had gone too "highbrow." Over time, this film has been reevaluated as classic, though some have questioned Disney's politics - fueled by his early interest in the German American Bund and support of Nazi filmmaker Leni Riefenstahl and rumors of anti-semitism in the Disney studio. www.heritagedaily.com According to testimony by veterans of the notorious Unit 731, in 1940 the Imperial Japanese Army Air Force dropped ceramic bombs containing fleas infected with the bubonic plague over Ningbo China. It was reported that over 100 people subsequently died of plague. The mastermind of this plan, Dr. Shiro Ishii showed a film of the operation to the imperial princes Tsuneyoshi Takeda and Takahito Mikasa. 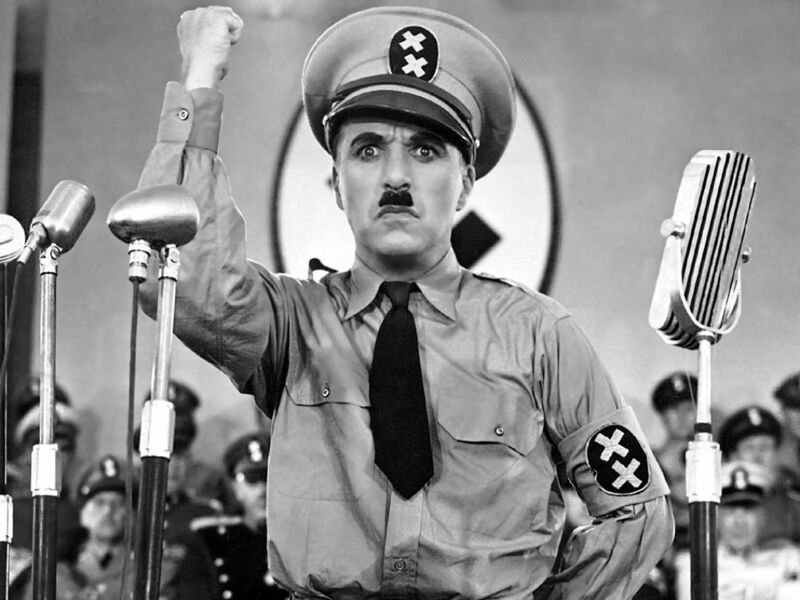 In this classic satire, Charlie Chaplin plays a poor Jewish barber who is mistaken for the dictator Adenoid Hynkel. 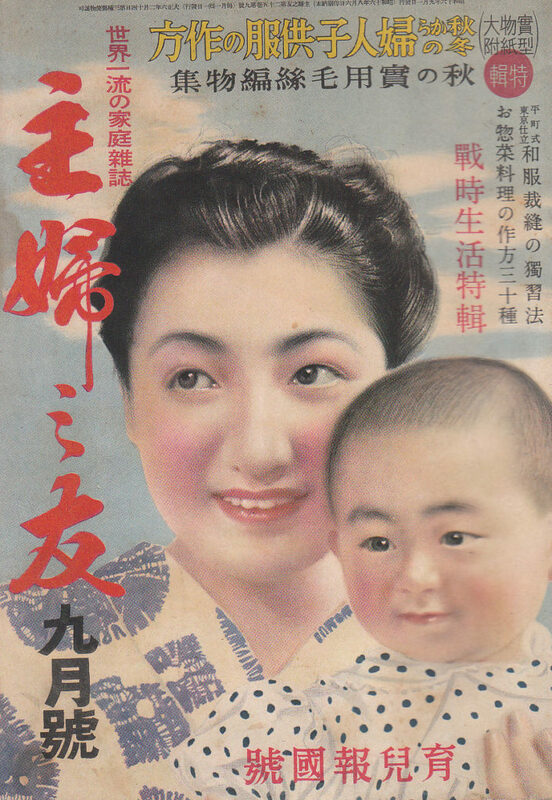 In the midst of war, Imperial Japan continued to produce romantic dramas. In Totsugu hi made 嫁ぐ日まで (Wedding Day) directed by Yasujirō Shimazu, sisters Yoshiko and Asako struggle to accept changes in their home brought about by their widowed father's remarriage to a woman who in turn, is anxious about her new role. 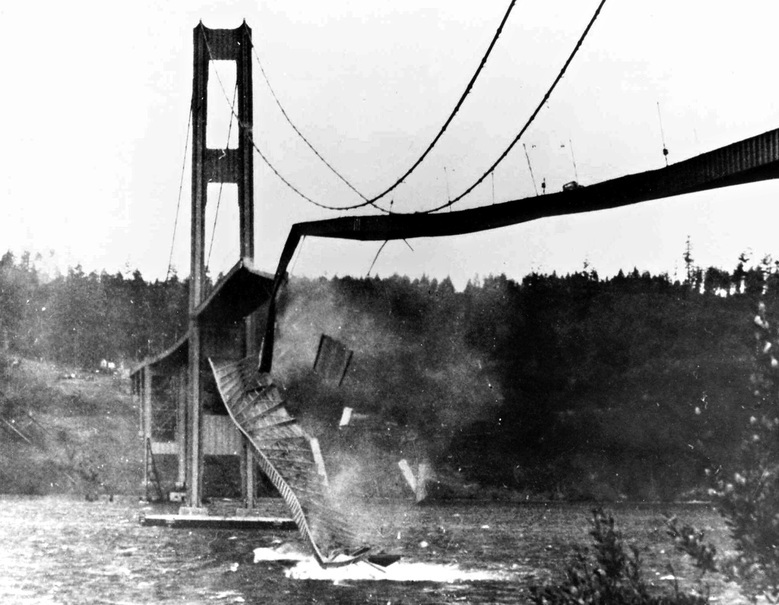 The Tacoma Narrows suspension bridge, crossing the Puget Sound to the Kitsap peninsula, opened to traffic on July 1, 1940, and collapsed due to wind-induced flutter on November 7. The only fatality was Tubby, a cocker spaniel who tumbled into the Tacoma Narrows along with his master's car. 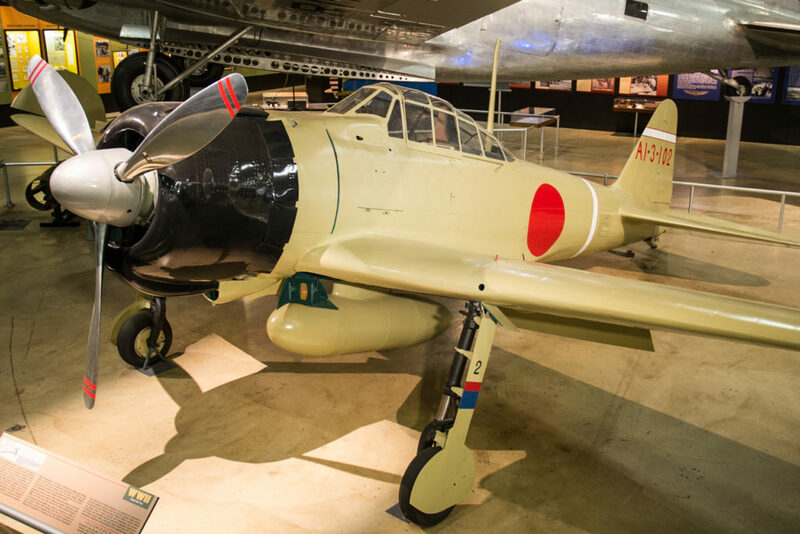 Mitsubishi A6M Zero 0 Fighters, the world's most maneuverable fighter to date, were made of lightweight duralumin alloy. 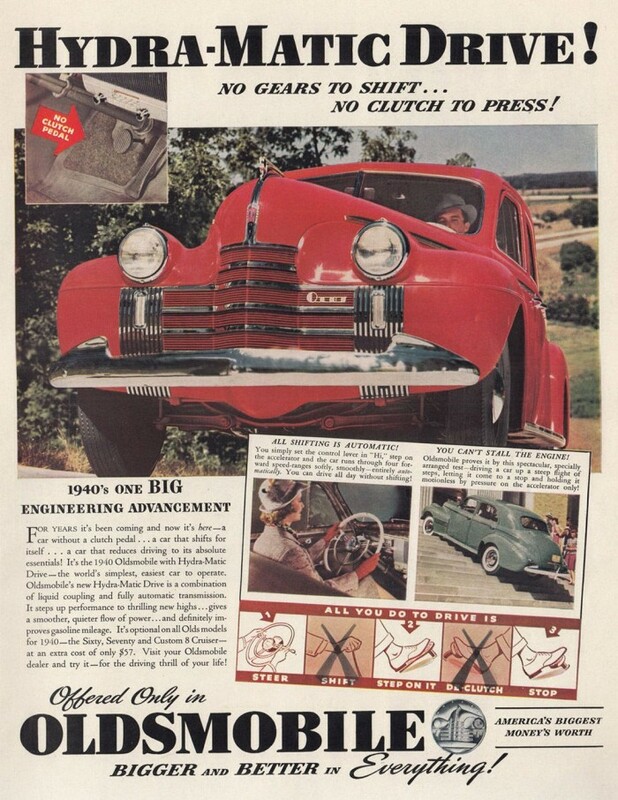 With a relatively weak 950-horsepower engine, armor plating and self-sealing fuel tanks were deleted to save weight. Escorting bombers against Chungking China on their first mission in August 1940, Zero fighters downed 27 Chinese and Russian-made fighters while losing only two Zeros to anti-aircraft fire. After a year in China, an impressive performance led to the belief that the Zero fighters, in the hands of capable pilots, were nearly invincible. Yōsuke Matsuoka, Imperial Japan's Minister of Foreign Affairs 1940-41 under Prime Minister Fumimaro Konoe, was a strong advocate of the Tripartite Alliance with Germany and Italy, but not Nazi anti-semitism: "...nowhere have I promised that we would carry out (Hitler's) anti-semitic policies in Japan. This is not simply my personal opinion, it is the opinion of Japan, and I have no compunction about announcing it to the world." Indeed, throughout the war, the Japanese government continually rejected requests from the Nazis to establish anti-semitic policies. After the fall of Paris, Marshal Henri Petain, a military hero during World War I, was appointed to boost morale as France was falling under the force of the Nazi invasion. Instead, Petain immediately arranged an armistice with the Nazis. The armistice, signed by France in June 1940, ceded more than half of France to occupation under Germany. In July 1940, Petain took office as “chief of state” at Vichy, a city in unoccupied France. 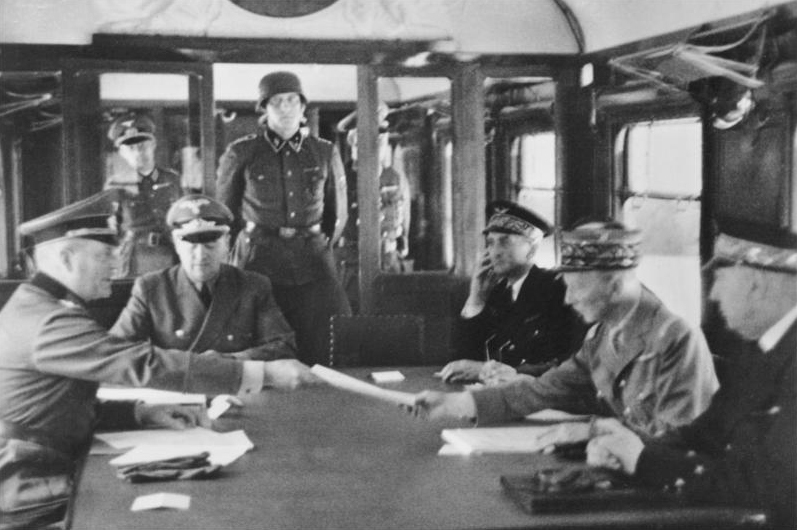 The Vichy government under Petain collaborated with the Nazis throughout the remainder of the occupation. 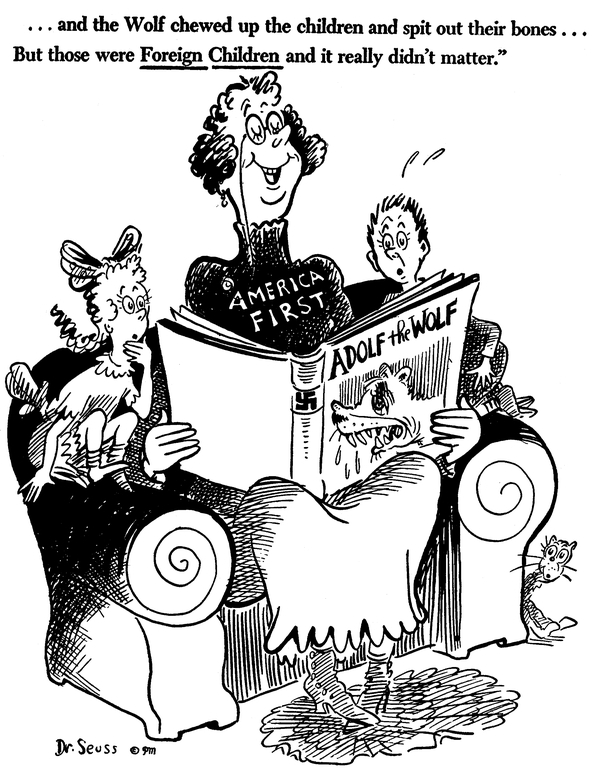 Merging with the pacifist Keep America Out of War Committee in 1940, the America First Committee vigorously opposed U.S. entry into world conflict. 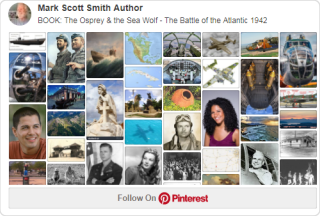 Among the 800,000 members were Walt Disney, Gerald Ford, Sinclair Lewis, Charles Lindbergh, Sargent Shriver, Norman Thomas and Frank Lloyd Wright. 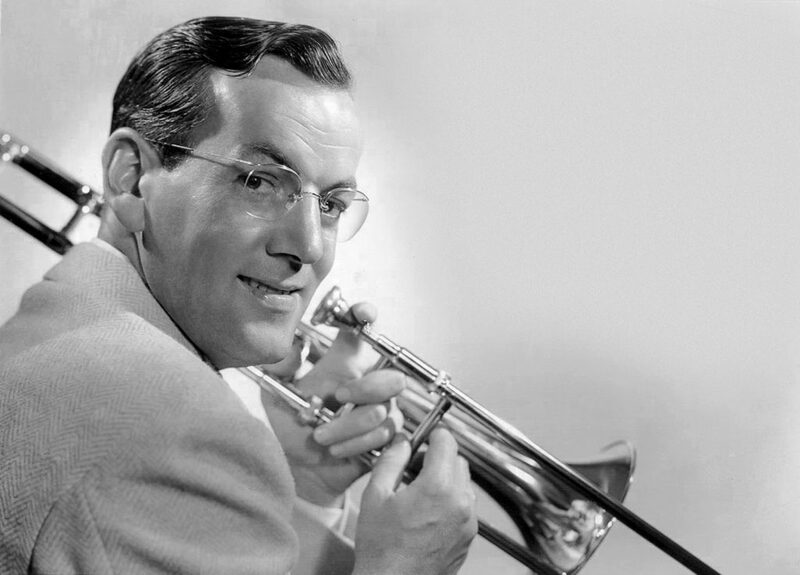 The group disbanded after the Pearl Harbor attack in December 1941. 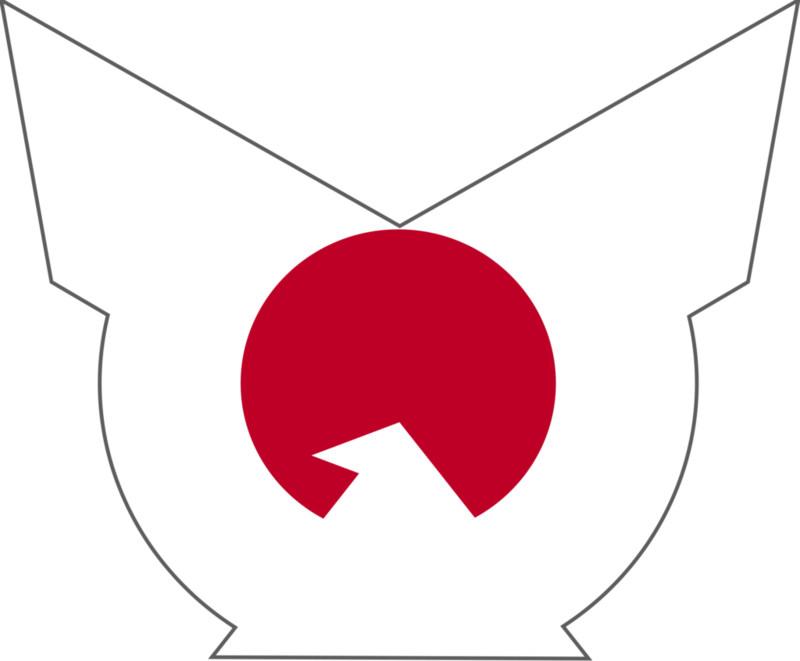 The Imperial Rule Assistance Association was created by Prime Minister (Prince) Fumimaro Konoe in 1940 to promote the goals of his Shintaisei (New Order) movement. 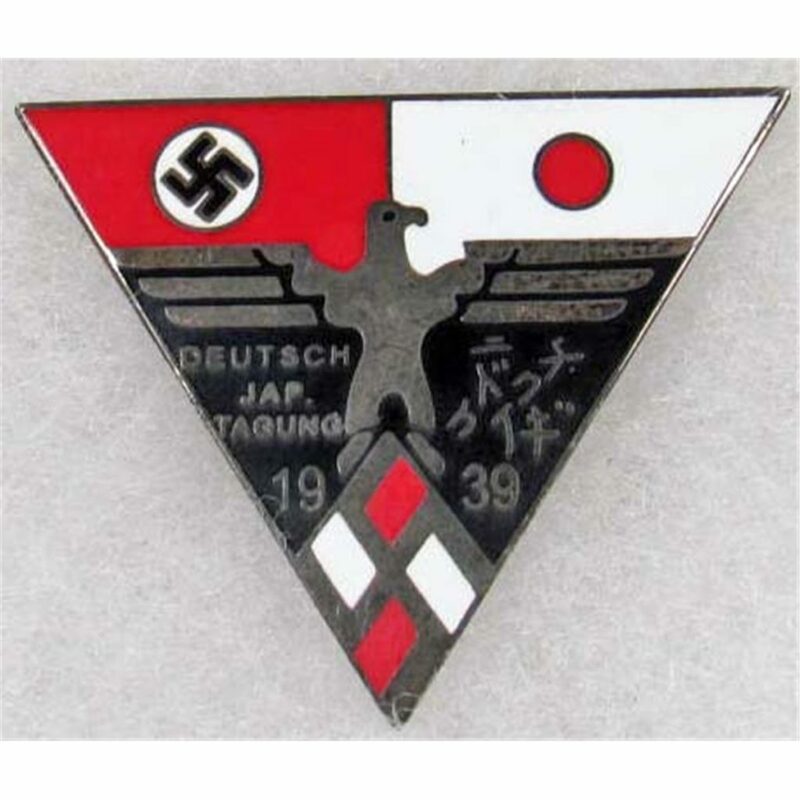 It evolved into a ruling right wing political party aimed at removing sectionalism in the Empire of Japan to create a totalitarian single-party state. 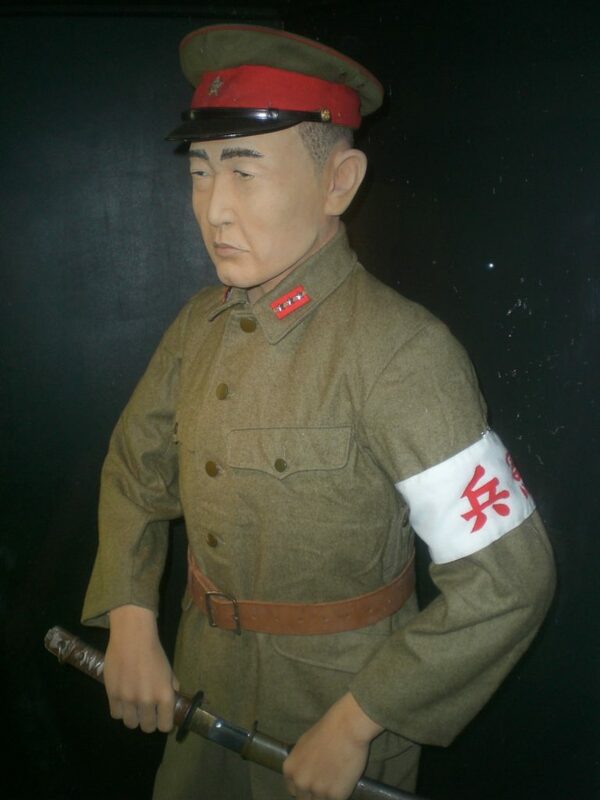 In 1940, after Nationalist Chinese victories in Changsha and Guangxi, and with her lines of communications stretched deep into the Chinese interior, Japan had reached a stalemate in the war with China. Although the Japanese ruled the large cities, they were unable to control the countryside. 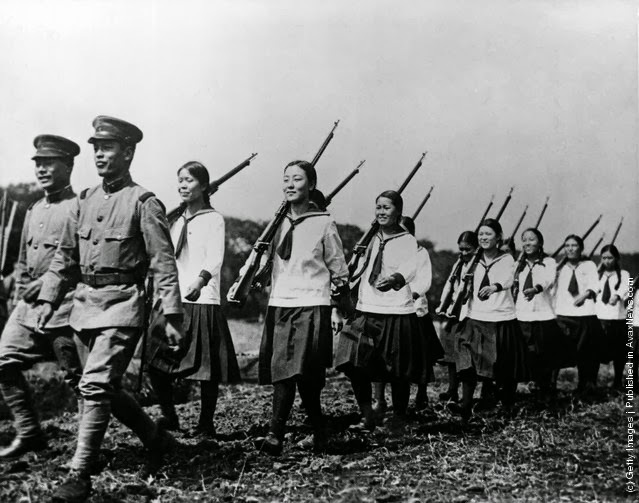 Japanese forces were also unable to defeat the Chinese communist guerilla forces in the Shaanxi province. Thus Japan was unable to achieve complete victory and China was unable to expel Japan from captured territory. 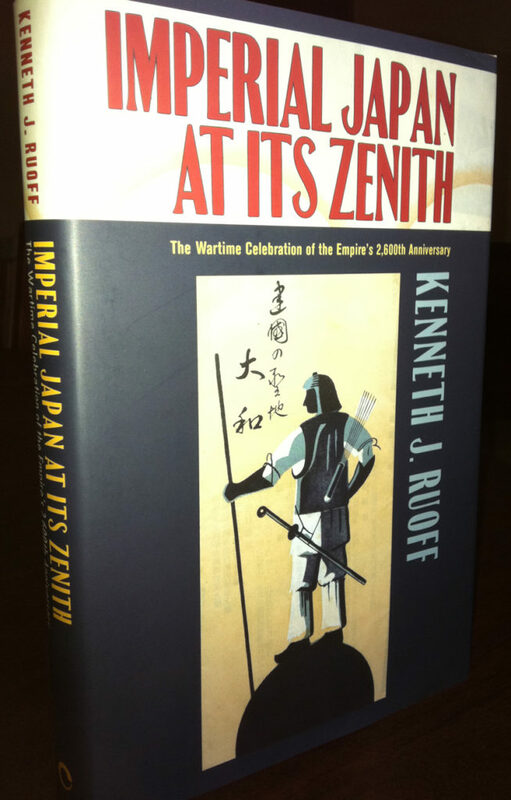 This book by Professor Kenneth Ruoff of Portland State University’s Center for Japanese Studies, is a fascinating account of a culture based on heroic mythology that promoted an intense nationalism and belief that Japan was truly the light of Asia. http://www.youtube.com/watch?v=5BrRQ7aRoug KABEI (our mother) In this beautiful, touching movie set during the rise of ultranationalism, a mother holds her family together after her husband is jailed for dissident scholarship. 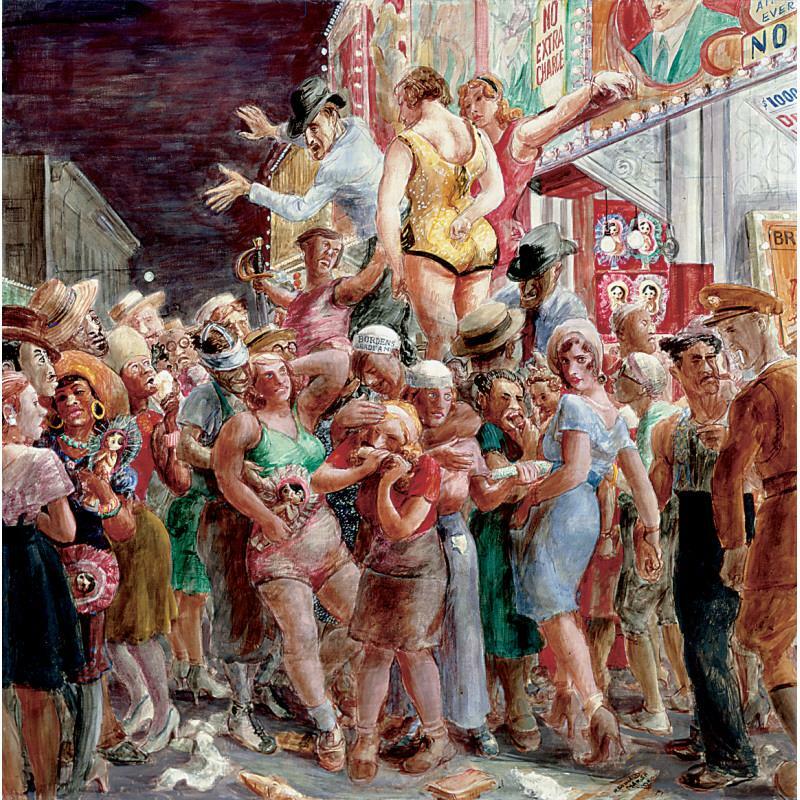 In contrast with Japan's graceful homogeneity, American culture was diverse and comparatively unrefined . 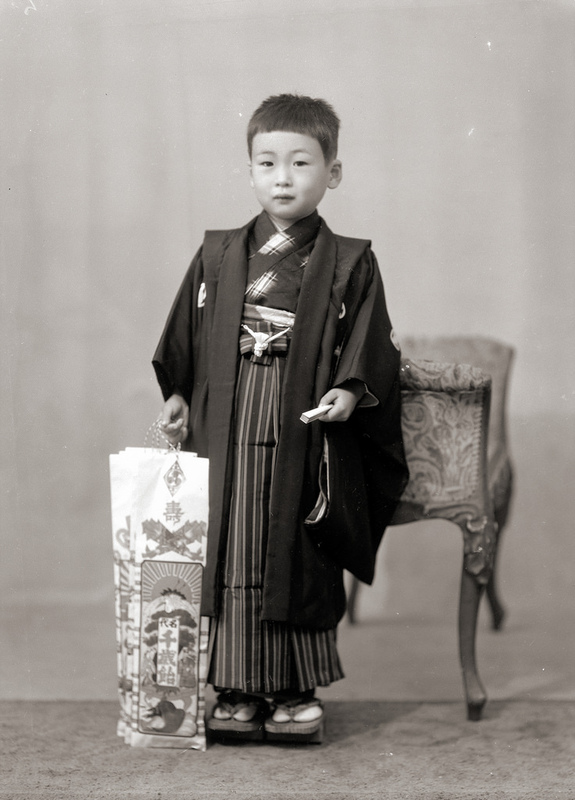 The population of Japan proper in 1940 was 73,114,305. Estimated population in the exterior provinces of Korea, Formosa, Karafuto, Kwantung and the South Seas Mandate was an additional 32,423,893. Total: 105,538,198. 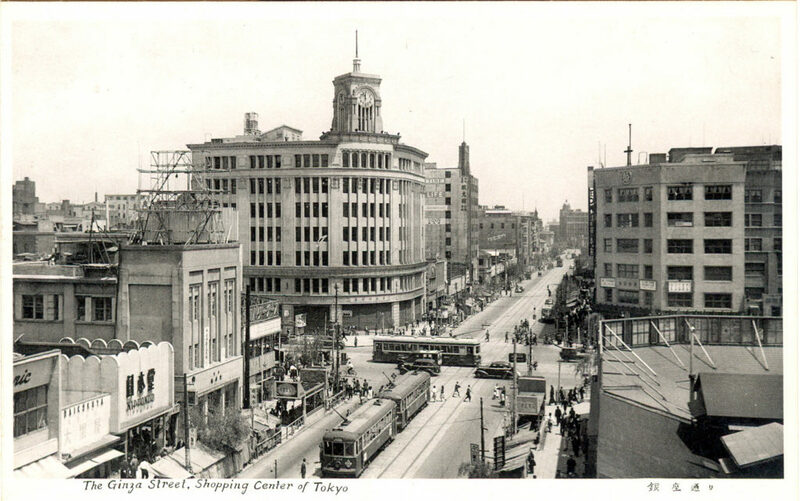 While the USA was still deep in economic depression, Japan had essentially lifted out of it by the mid-1930s. But the 1930's were marked by political instability, intrigue, assassinations and attempted coup d'états. By the late 1930s, right wing militarists had firm control and political dissidence was vigorously suppressed. Imperial Japan's incursion into China ("The China Incident") had become a bloody quagmire with many Japanese losses. Here is a video that reminds us we are all still human.